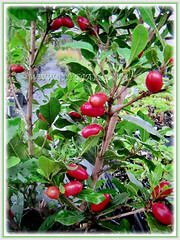 Miracle Fruit or Miraculous Berry is highly prized by chefs who delve in molecular gastronomy. Its vibrant red fruits contain miraculin, a taste-modifying, protein-based molecule that when eaten, almost miraculously changes the taste of sour or bitter food to taste as sweet as sugar. The sweet sensation lasts for about 30 minutes. 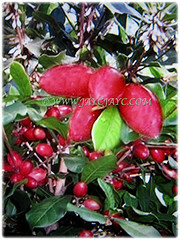 Miracle Berry is a natural, healthy and harmless sweetener! Botanical Name: Synsepalum dulcificum (syn. : Bakeriella dulcifica, Bumelia dulcifica). 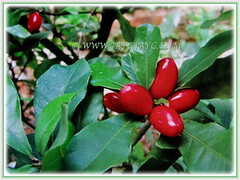 Common Names: Miracle Fruit, Miracle Berry, Miraculous Berry, Flavour/Sweet Berry. Etymology: The specific epithet dulcificum means very sweet. Plant type: A perennial and evergreen shrub. Features: Synsepalum dulcificum is from the genus, Synsepalum that comprises of 29 accepted species. It is a slow-growing shrub or small bushy tree with a woody trunk and oval crown that grows between 1.8-4.5 m tall but up to 6 m in native habitat. It produces dense foliage. The plant has deep green, elongated leaves which grow in a spire-like habit. Both regular and large-leaf and a hairy-leaf form are known. Its leaves are 5-10 cm long and 2-3.7 cm wide and glabrous below. They are clustered at the ends of the branchlets. 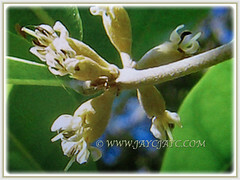 Flowers are very small (0.63 cm), creamy-white and held in clusters in leaf axils. It’s free-fruiting the whole year round. 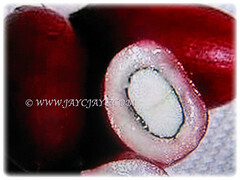 2 cm long, simple and fleshy fruits ripen from green to vibrant red, oval-shaped with a single seed embedded in edible and sweetish white pulp. 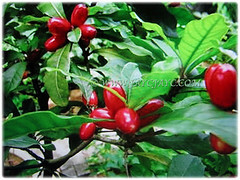 Culture (Care): Synsepalum dulcificum or Miracle Berry grows easily with the least maintenance. Moisture: Medium water requirement. It benefits from a humid environment. Soil: Humus-enriched, acidic and well-drained soils. It does not tolerate alkaline and waterlogged soils. Others: Generally, there is no need to prune the plant. Chlorinated water will damage the plant. Allow chlorinated water to sit for 24 hours before use to mitigate damage. Once every fortnightly, feed this exotic beauty with water soluble fertiliser. Overfeeding this shrub can cause leaf burn and even plant death. Generally free from serious garden pests and diseases. However, watch out for mealybugs, spider mites and other indoor potted plant pests. Waterlogged plant will succumb to root rot. 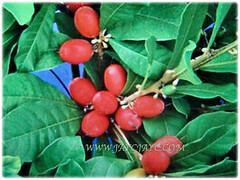 Synsepalum dulcificum or Miracle Berry thrives well under warm temperatures and high humidity. The plant is intolerant of frost and should be considered a container plant. When plants are small they are subject to frost damage, so they should be container-grown and kept indoors or moved to protected locations when frost or freeze threatens. Older plants can survive a light frost but it is best to avoid it if possible. Outdoors, it is said to do best in partial shade. As an indoor plant, provide it with bright light such as a well lit window. In the summer the plant can be moved with care to a warm and lightly shaded location. Once every fortnightly, feed this exotic beauty with water soluble fertiliser. Feed sparingly during the growing season but more frequently during the summer months. Propagation: Easily propagated from seeds. Seed-grown plants start bearing fruits at 2-3 years of age. Alternately, it can be propagated from stem cuttings. Plants from cuttings will produce berries much sooner that seed-grown plants. 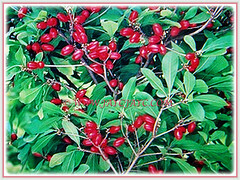 Usage: Synsepalum dulcificum or Miracle Berry is ideal to be grown as a container plant for small gardens. Suited to be grown for ornamental or economic purposes. In tropical West Africa, where this species originates, the fruit pulp is used to sweeten palm wine. Historically, it was also used to improve the flavor of soured cornbread but has been used as a sweetener and flavoring agent for diverse beverages and foods, such as beer, cocktails, vinegar and pickles. In Africa where modern refrigeration is not available, fruits are tradtionally chewed before meals to make stale food taste better.